The only cuter than 1 Basset Hound is 2. 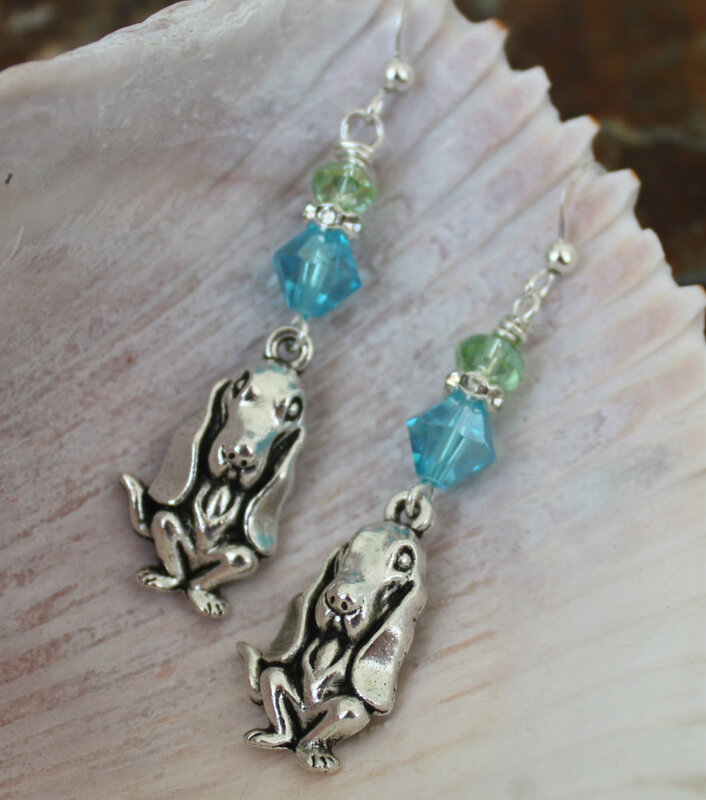 These adorable Basset Hound earrings will be the envy of your friends. 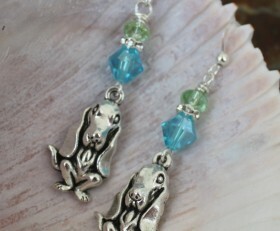 The Basset charms are accented with blue and green Swarovski crystals and a touch of bling. $3 of each sale goes to the Suncoast Basset Rescue is a not-for-profit, volunteer effort that rescues Basset Hounds from abusive, abandoned and unwanted situations throughout Florida. Categories: Animals, Dog Breed Jewelry, Dog Earrings, Dog Lovers Jewelry, New, Rescue Dog Jewelry, Suncoast Basset Rescue.